Are you caught in the ChefTec trap? You know, the one where you spend lots of money, keep spending lots of money? Spend more money on support, keep spending more money on support and aren’t very pleased with the support? And after all that end up with software that’s very complicated, and is (at best) underutilized? If you’re looking to escape that trap, we’ve got an answer. 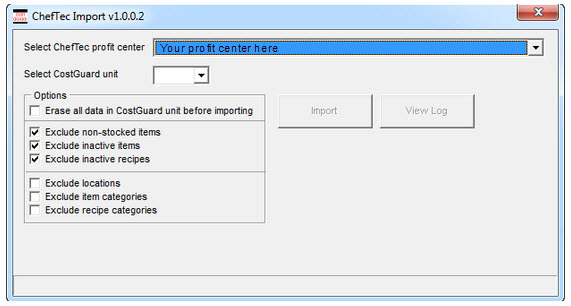 You can now convert your ChefTec inventory items and recipes into CostGuard! Over the years we’ve spoken to many frustrated ChefTec users. And while many have migrated to CostGuard, some haven’t simply because they don’t want to rekey all their recipes. ChefTec users ask us “Can you convert all those recipes? Yes, we can!! Entering recipes IS time consuming, after all you’ve done it once. So why do it again? The solution is the Cheftec to CostGuard conversion. There’s even an option to omit items that are inactive and non-stocked, so all the items that clutter up ChefTec will clutter no longer! There’s no upcharge; it’s included with your CostGuard purchase. Users find CostGuard to be the ideal combination of features, affordability and ease of use. Your hard work will not be lost! Now you have a migration path that makes sense and eliminates all that data entry. Please see this link for import details.